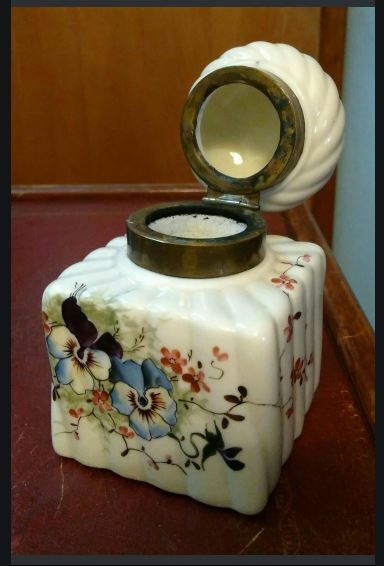 Please HELP me ID this antique inkwell! I just got this beautiful old inkwell and I'm curious about its origin or really anything about it. I haven't been able to find one quite like it. Can anyone offer any info? Thanks! Can't see. "Sign in to Shutterfly". Start by looking at Meissen ink wells. » Please HELP me ID this antique inkwell!